It is hard to believe that it can be Christmas again already. As the line in Game of Thrones goes; ‘Winter is coming.’ Actually, throughout the UK there has already been rather more of a chill about than for the last few years and, no doubt, our friendly bookmakers are already reducing the odds on a White Christmas. Which prompts the thought that although for many of us a harsh winter is a real inconvenience there are people who actively seek out the very depths of winter? Not our friends and colleagues who head for fun on the ski slopes but the hardy souls who find ever more inventive ways to reach or cross some the great white deserts, or reach the highest mountains of the planet. Explorers; finding wild places and seeking adventure, even in an age of GPS and air travel. Sometimes today, just as in the past their lives quite literally depend on their timepieces and the necessity for rugged, highly legible watches designed to be used by explorers in the most testing conditions has driven some manufacturers to develop watches which are serious about keeping you alive; Explorer watches. 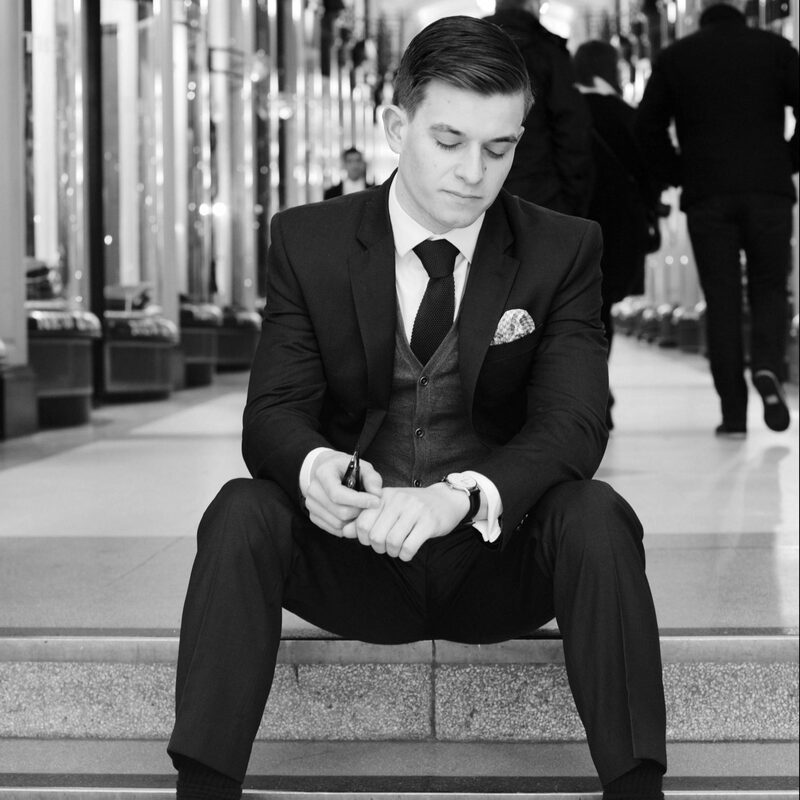 So whether you are a real adventurer simply someone who wants a ‘no nonsense’ chronometer which fits your style, then then take a look at our choices of some offerings which carry more than a hint of adventurous style. 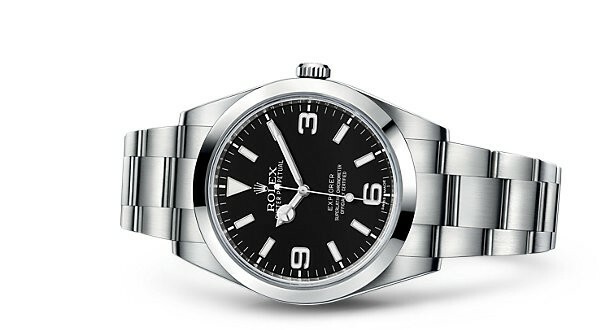 First up has to be the Rolex Explorer family; they ‘do what it says on tin’. Since the 1920s Rolex watches have been worn in extreme conditions by mountaineers engaged in the conquest of the world’s great peaks including the first successful ascent of Everest. It is perhaps ironic that Rolex has thrived as a company whilst Smiths, who made the watch actually worn by Edmund Hillary on the climb has, sadly, faded. Nonetheless the fact that a Rolex (albeit not at that point called the Explorer) was on Tenzing Norgay’s wrist rather than Hillary’s didn’t stop Rolex from using its experience to develop generations of the Explorer since 1953. The simple, highly legible, style has been progressively enhanced and in its most recent incarnation combines an air of calm resilience with the sophisticated aura of the Royal Geographic Society. No matter which generation you choose, pre-loved or new, 36mm diameter or the latest 39mm version, The Rolex Oyster Perpetual Explorer (to give it its full title) is a real classic. Prices from around £3000 for a 20 year old 36mm to £5350 for the 2016 version. 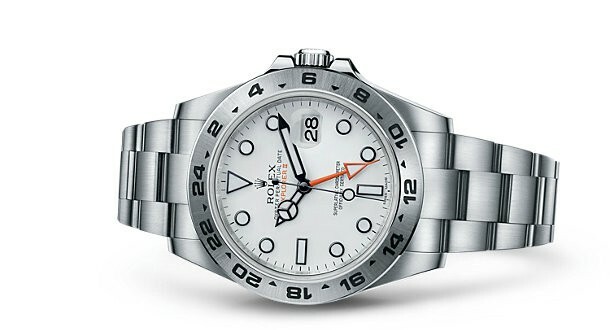 The Explorer’s younger sibling is the Rolex Perpetual Explorer II. This was introduced in 1971 (and for a good many years has been one of the author’s ‘Grail’ watches, in whichever version) and was originally seen as a natural heir to the already venerable Explorer. With a number of different features including date with magnifying cyclops window and 24 hour hand working with a brushed finish 24 hour bezel. In appearance the watch is much closer to the current idea of a luxury sports watch and, like its older brother has grown in size to the current 42mm version. The Explorer II was promptly adopted by a new generation of ‘serious travellers’ (those who consider roads as being strictly for wimps) who ventured to places where the sun never sets or never rises. Caves and polar explorers readily wore the Explorer II on extreme adventures but again it looks equally at home sliding from under well-tailored cuff. Prices for Explorer IIs can be stratospheric but in general expect to pay a similar price for previously owned examples and up to £5950 for a new one from an authorised dealer. Much later on the scene are Bremont, whose limited edition Terra Nova was developed for… a polar expedition. Taking its name from the ill-fated Antarctic Expedition led by Captain Robert Falcon Scott from 1910 to his death, on the return journey, after reaching the South Pole in 2012. Perhaps because of that ending of the expedition, the very name Terra Nova is evocative of a white, frozen, world where one error can turn epic adventure to tragedy and death. 100 years later two polar explorers, Ben Saunders and Tarka L’Herpiniere planned to be first to retrace and complete Scott’s 1,775 mile route. To make things just a little more challenging they pulled their supplies on sleds Nova. Thankfully, and possibly despite Bremont’s naming of the new watches they developed for the expedition ‘Terra Nova’ they completed their journey and Bremont made a limited run of the Terra Nova. 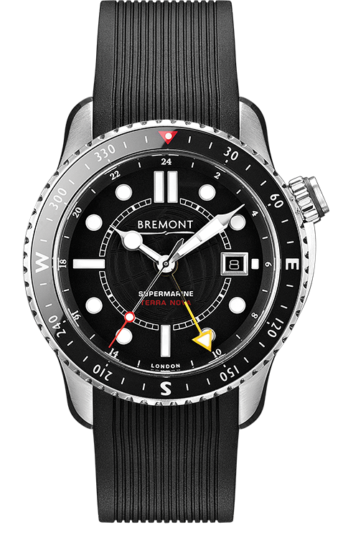 Like Rolex with the Exporer II, Bremont based their explorer’s watch on a dive watch, their Supermarine and, again in common with Rolex, they claim 150m water resistance; just in case you slip into the water on one of your treks. It also has a date function and a 24 hour GMT hand with internal markings on the chapter ring. Bremont took a different line with the bezel, which is marked with the points of the compass – and of course the real adventurers know that with the sun and a wristwatch you can find your bearing. They also chose to use titanium for the case making the watch light and easy to wear. Because Saunder’s and L’Herpiniere wore their chronometers outside of their clothing the watches were subjected to temperature which Bremont argue would cause any batter operated device to fail and taking your gloves off to check the time just isn’t an option. Bremont simply used special oils and the Terra Nova’s worked faultlessly. There are a couple available on EBay currently and prices are ranging from £3450 to £3900. As an added bonus, every month Bremont hold their Adventurers Club meeting at their Mayfair Boutique so, although you may not quite get into the Royal Geographical Society, there is a place where you can go and mingle with both real and would be like minded souls. Bremont’s marketing slogan is ‘Tested beyond endurance’ and for both their Terra Nova and Rolex’s Explorers it seems a fitting phrase to describe not only the chronometers, but the astonishing people who wear them. So, if this festive season you are planning on venturing to high peaks, arid deserts or icy wastelands (or even just braving Oxford Street! 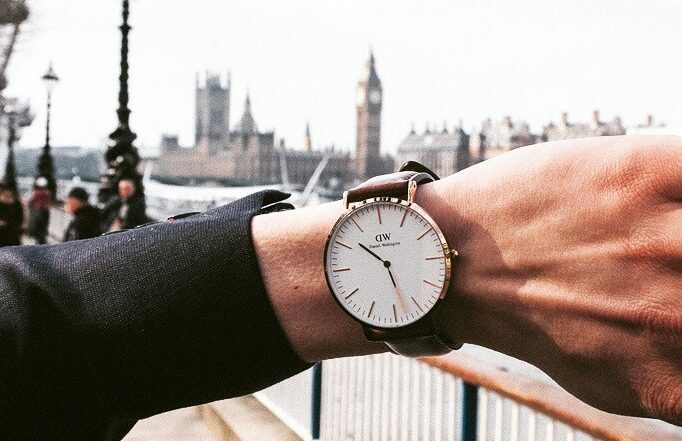 ), and you have an inner explorer; you might consider one of these three watches would be the perfect complement to your style. Have a great Christmas and may your 2016 be joyous, healthy and prosperous.